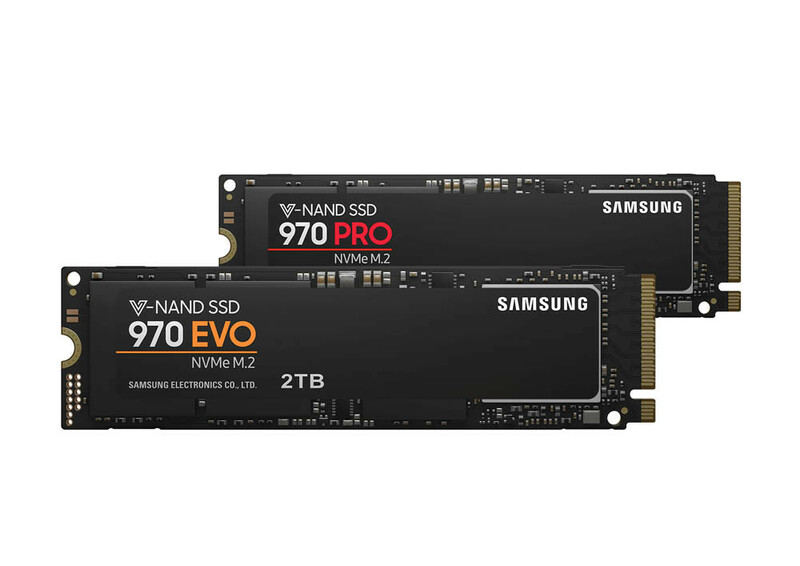 A few weeks ago we announced the release of Samsung’s newest updates to their SSD lineup the 970 EVO and 970 PRO which were priced at $119.99, $229.99 $449.99 and $849.99 for the 250GB, 500GB, 1TB, 2TB models respectively. This gives other competiting products something to be worried about. 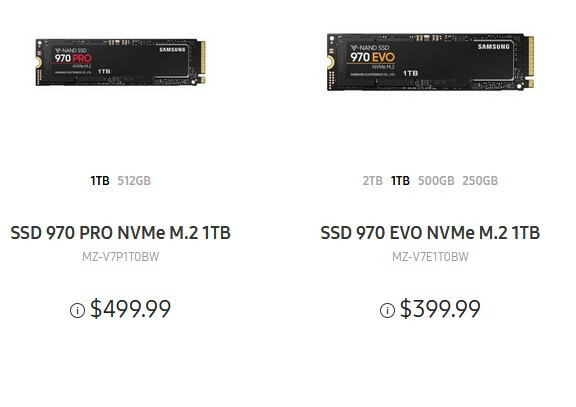 Samsung Drops Price on 970 EVO, Pro SSDs. 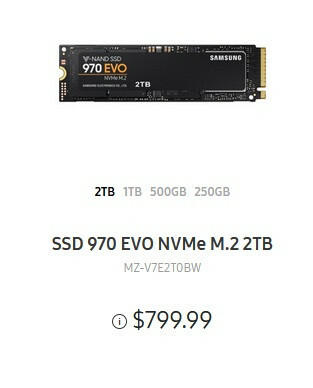 The new pricing will see Samsung’s 970 EVO drives going form $119.99 to $109.99 for the 250 GB model, $229.99 to $199.99 for 500 GB, $449.99 to the respectable $399.99 for its 1 TB capacity and $849.99 to $799.99 in its largest capacity the 2 TB model. These prices place it in an extremely competitive light with Intel’s 760p, for example ($116.25, $219.99, $399.99 and $1730.01, respectively) and WD’s Black ($119.99, $234.24 and $449.99 for the 240GB, 500GB and 1 TB version). 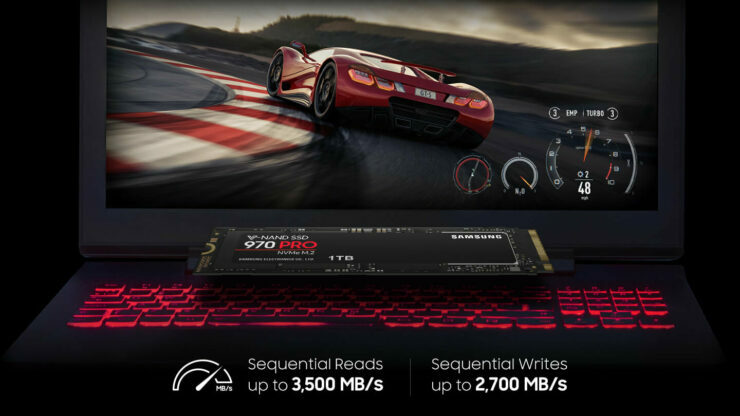 The 970 PRO, the higher performing SSD, will be available from $249.99 (500 GB) and $499.99 (1 TB). 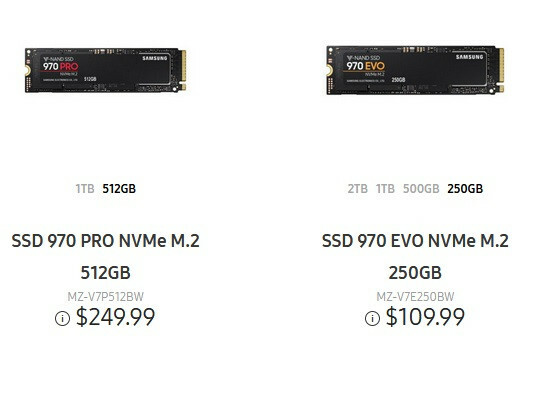 Samsung has basically lowered pricing against their previous generation 960 EVO and 960 PRO, while delivering almost entirely improvements across the board. While not being the top of the line they do remain incredibly high performing with up to 3,500 MB/s reads, 2,500 MB/s writes, 500K IOPS random read and 480K random writes, it is no slouch and can keep up with pretty much any SSD on the market today. The EVO uses TLC memory and both the Evo and Pro use Samsung’s new Phoenix controller which is Nickel coated. 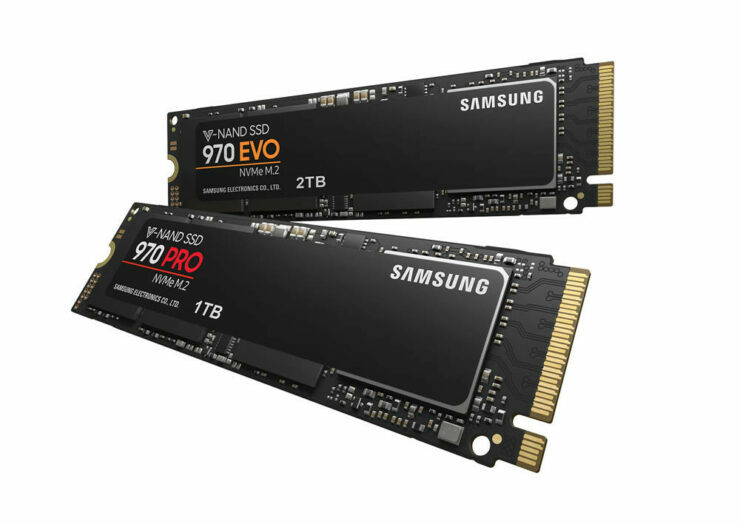 The Samsung 970 PRO and EVO are designed based on the M.2 form factor standard and with the latest PCIe Gen 3×4 lane interface. 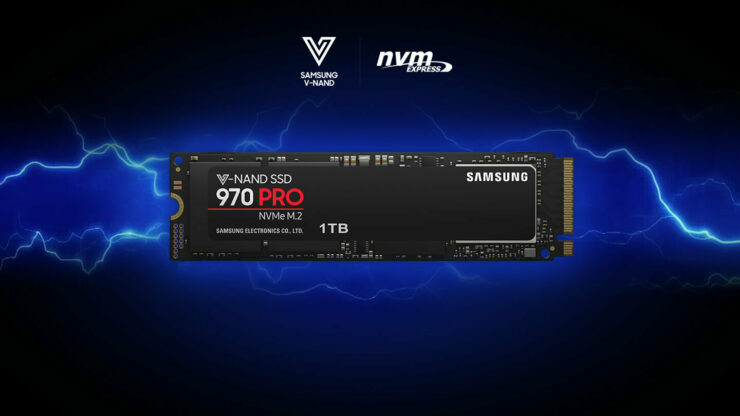 The 970 series maximizes the potential of NVMe bandwidth, delivering unparalleled performance for processing large volumes of data, including 3D, 4K graphics work, high-end games, and data analytics. Un-Soo Kim, senior vice president of Brand Product Marketing, Memory Business at Samsung Electronics. 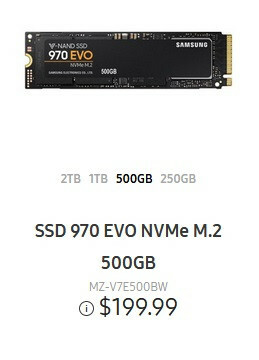 The 970 Pro still uses MLC memory and only comes in 2 capacities, 512GB and 1TB while the Evo has capacities ranging from 250GB to 2TB, it seems at this point Samsung wants to push the cheaper, easier to manufacture Evo series to consumers, since most manufacturers have almost totally abandoned MLC NAND due to its higher cost. Also to note Samsung has not released an MLC based SM981 drive so we should expect it abandons MLC on the OEM side. In addition to the advancements in performance levels, the 970 PRO and EVO deliver exceptional endurance and reliability. Featuring a five-year warranty, or up to 1,200 terabytes written – 50 percent higher than those provided for the previous generation. The Dynamic Thermal Guard technology safeguards against overheating by automatically monitoring and maintaining optimal operating temperatures, this combined with the nickel coated controller should help to avoid thermal throttling, though I would still look for a motherboard with a nice heat spreader for optimal performance.